I’ve been feeling quite proud of myself lately for the fact that I have been cooking dinner during the week for us. Earlier on when I was dead tired to the world we did the cereal and boxed mac and cheese thing quite regularly. This week we only had cereal for dinner once! And I’ve been baking. Maybe it’s the nesting stuff kicking in? I thought that would be more related to things like laundry, cleaning, and decorating, though. Either way people in my and Price’s office seem to enjoy it when I bring in goodies. I’m just making it up to them in advance for my 3 months away while on maternity leave. Ugh, don’t get me started on maternity leave. 12 weeks?!?!? That is going to go by in a blink of an eye. :-/ I’m sure there will be plenty of nights of cereal or boxed mac and cheese during that time period was well… it all comes in cycles. 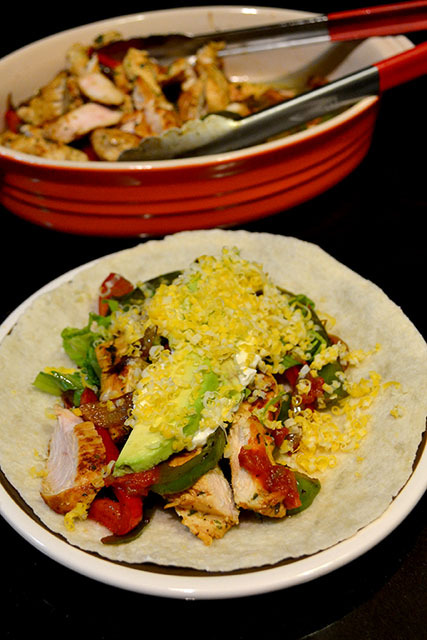 Well, one of the yummy things I whipped up this week for dinner were these Chicken Fajitas. I had them in mind to celebrate this weekend’s NASCAR race in Phoenix. 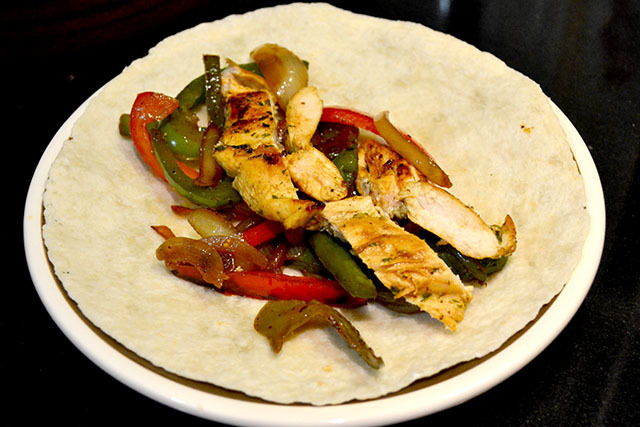 I couldn’t resist making fajitas for my Sprint Cup Snacks series once I had that them in my head! I actually prepped these one morning before work by making the marinade, trimming the chicken, and setting it all up to marinate for the day. So when I got home all I had to do was take out the chicken, cut up the veggies, assemble the toppings, and just cook the chicken and then the veggies. It all came together quite quickly and nicely. Plus you cook the chicken and then the veggies using the same pan so clean up was pretty quick too! 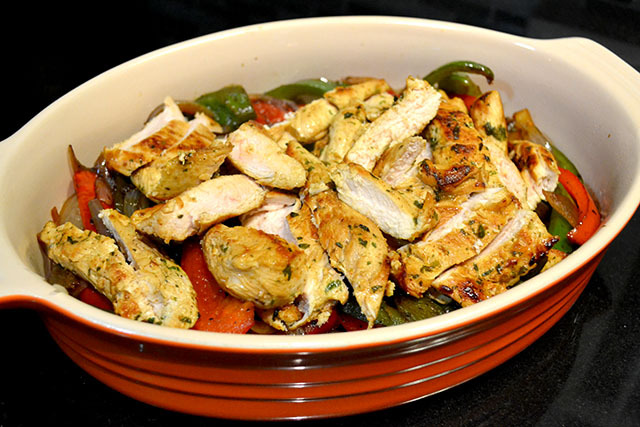 These chicken fajitas will be a hit at your house this weekend or any week night. Plus if you make a mega batch you can give your significant other leftovers for lunch to make up for the cereal you served for dinner earlier on in the week. ha!! 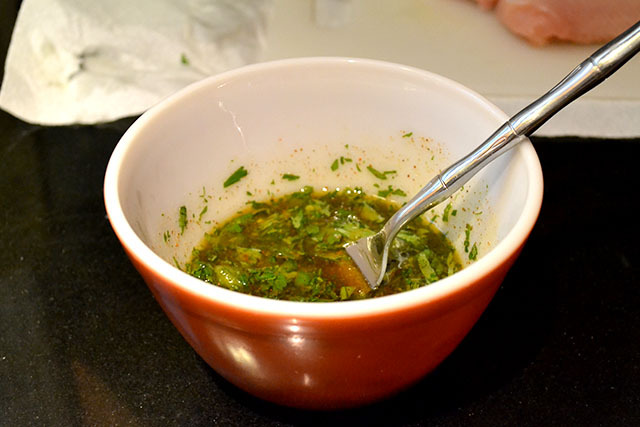 Mix all the marinade ingredients together in a large bowl. 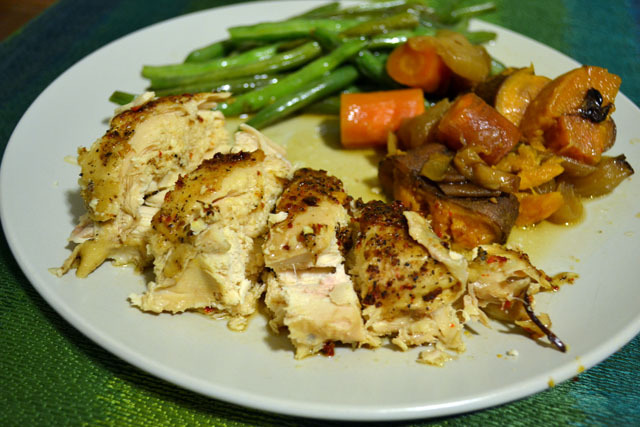 Add the chicken, coating well, cover, and let marinate at room temperature for 1 hour or in the refrigerator for up to 8 hours, but remove them an hour before cooking so that they can come closer to room temperature. 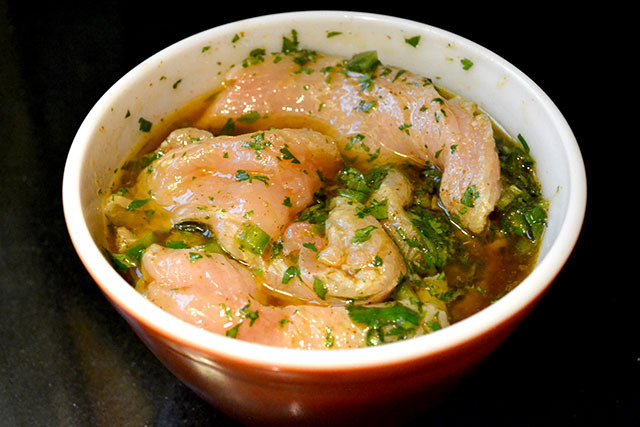 Once done marinating, wipe off most of the marinade and sprinkle the chicken with salt. Heat a large cast iron frying pan on high heat for 1 to 2 minutes. Add a tablespoon of canola oil to the pan. 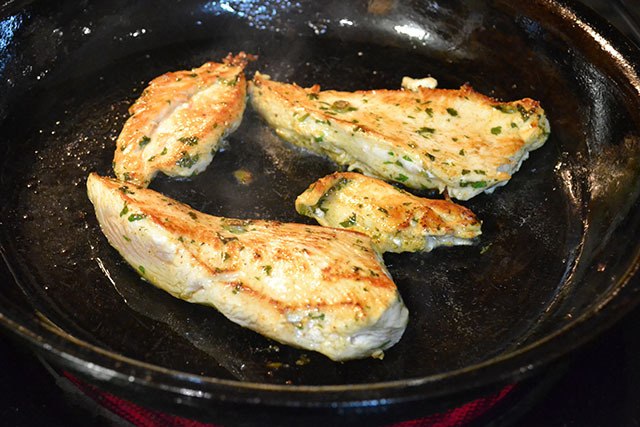 As soon as the oil begins to smoke, lay the chicken breast pieces in the pan. 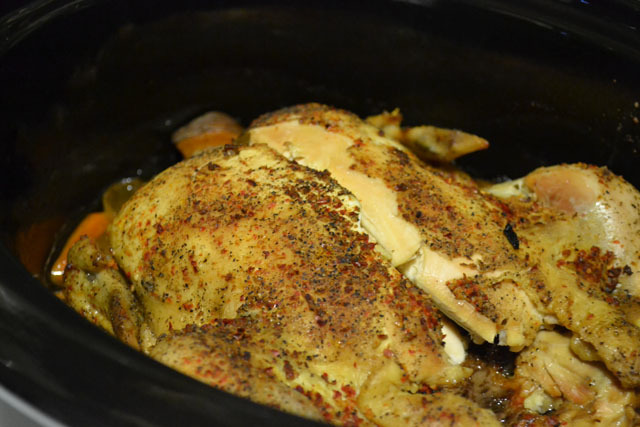 Let the chicken cook undisturbed for 2-3 minutes, until you have a good sear. Once seared well on one side, turn the pieces over and cook for another 2-3 minutes until well seared on the second side. Once seared on the second side, remove to a cutting board, stack the pieces on top of each other, and cover with aluminum foil to rest for 5 minutes. If you want to test for doneness, cut into one piece with the tip of a sharp knife. It should be just done, if not, you can put it back in the hot pan for a minute or two. While the chicken is resting, cook the onions and peppers. Add another tablespoon of oil to the very hot frying pan. 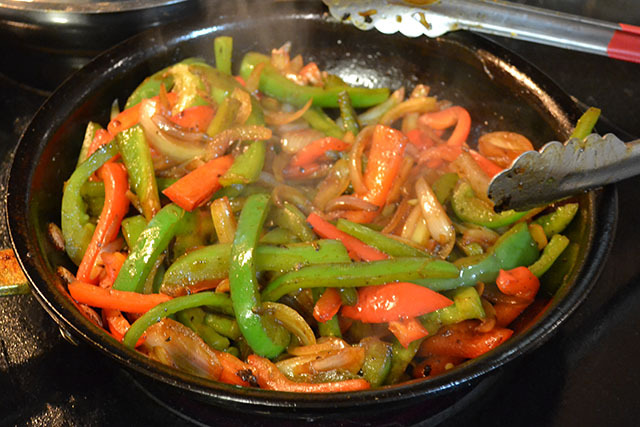 As soon as the oil is hot, add the onions and peppers to the pan. Use a metal spatula to scrape up some of the browned bits from the chicken and stir to coat the onions and peppers. Spread the onions and peppers in an even layer in the pan, letting them cook undisturbed for 2 minutes so they sear with some blackening. Stir the vegetables and continue to cook for another 2 minutes. Slice the chicken against the grain into strips. 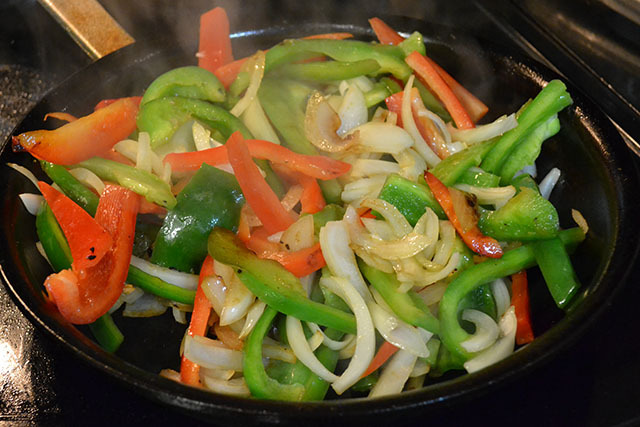 Serve at once with the peppers and onions, some warm tortillas, and your preferred toppings. You know umami? Umami is one of the 5 basic tastes that we identify in foods. Basically, umani equates to savory flavors which is often related to foods that contain high levels of L-glutamate, IMP and GMP. 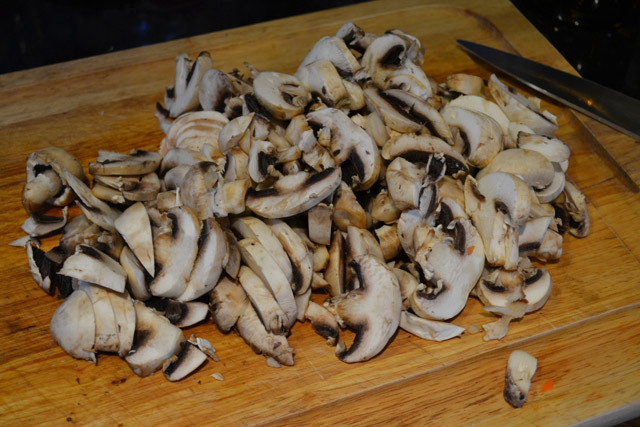 Foods associated with umami are fish, shellfish, cured meats, vegetables, like mushrooms and ripe tomatoes, green tea, and fermented and aged products, such as cheeses, shrimp pastes, soy sauce, and – what for it – steak sauce. To put a twist on the traditional steak sandwich I transformed a burger into a ‘Shroomy Philly Cheese Steak Burger by piling it high with sautéed onions and mushrooms and tons of melty cheese. And what about my favorite steak sauce? Well that is there too! 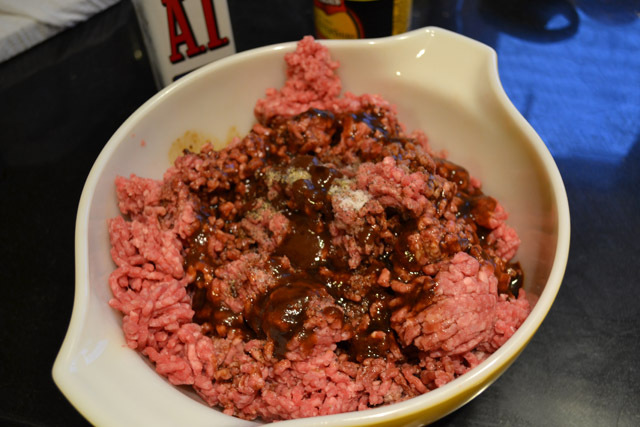 As well, I seasoned the burger itself so it would be so juicy and flavorful. This is a massive, juicy burger!! 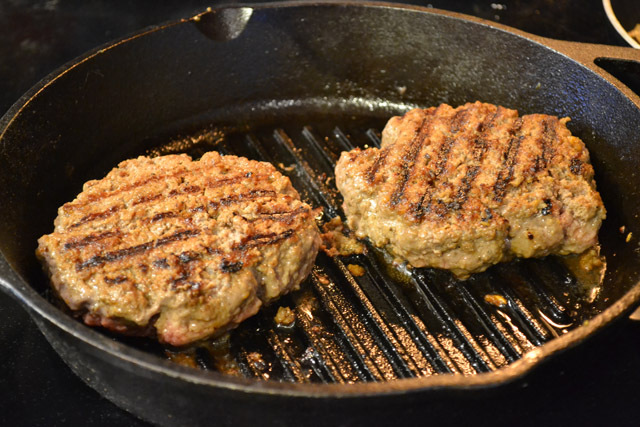 The steak sauce and Worcestershire sauce in the burger mixture makes the burger really flavorful and juicy. Of course if I am going to make a cheeseburger, I am going to cheesy!! 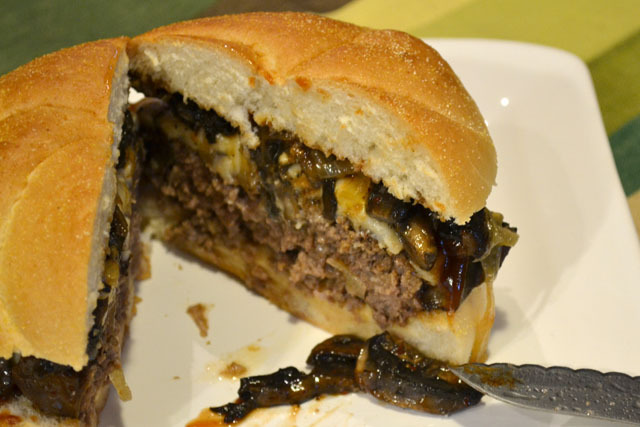 The onions and mushrooms piled high make is a great Philly cheesesteak burger. It all comes together in a huge bite and then the theme song of The Fresh Prince pops into your head, right? Enjoy your burger with some fries and a cold beer! 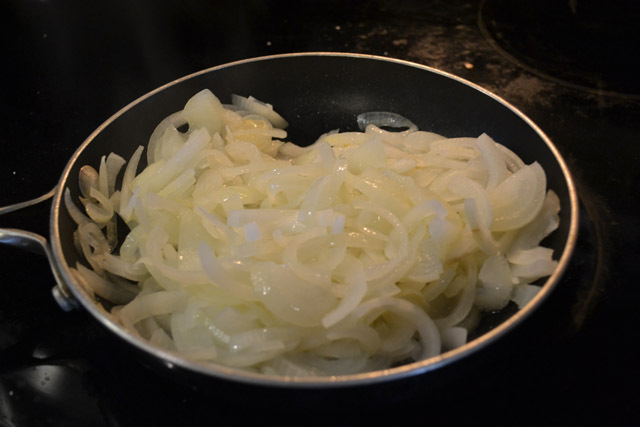 Slice the onions and put into a skillet with 1 tablespoon oil and cook over medium- low heat until translucent and caramelized. Add salt and pepper when done. 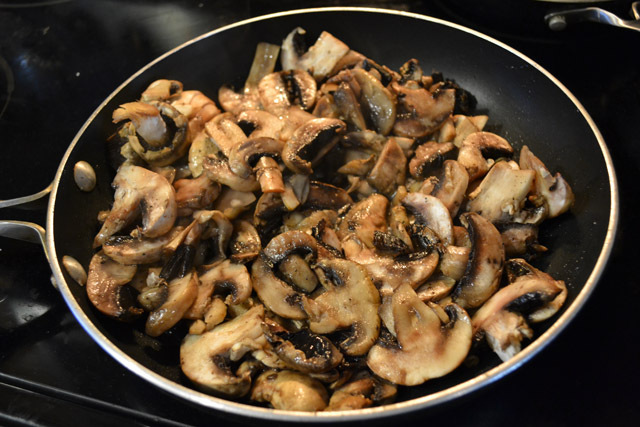 Slice the mushrooms and put into a skillet with 1 tablespoon oil and cook over medium-low heat until browned and reduced in size. Add salt and pepper when done. 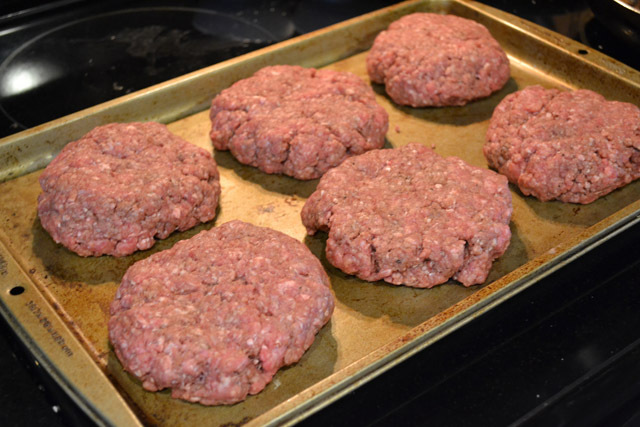 Grill the burgers until just under desired doneness. 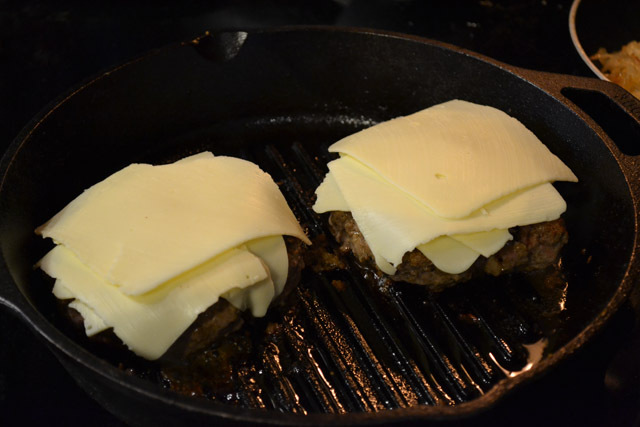 Place 3 slices of cheese on each burger and cook until melted and burger is done. 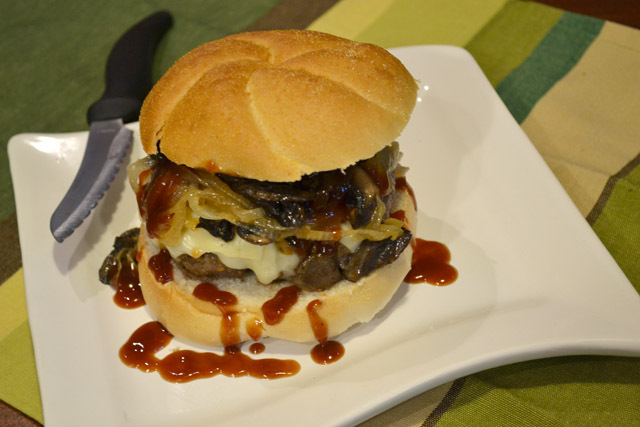 Place a cooked burger on the bottom portion of the bulkie roll, smother the burger with the onions and mushrooms. Top with steak sauce and top of roll. Enjoy! This was one of the juiciest chickens I have ever had (other was beer can chicken- OMG!). It was so moist, flavorful, and cooked perfectly. Any rub on the chicken would work, even just salt and pepper with some lemons in the mix. This is more about technique, not about the ingredients. Don’t want sweet potatoes- fine… just throw some fingerlings in there. I think the biggest thing to consider is how long to cook it. I would not do this on a week day since I am away from home for 10 hours. This would just fall apart too much then. I suggest this on a nice weekend when you want to relax and do nothing or if you have errands up to your eyeballs and you have no time to cook and just have dinner (almost) appear in front of you. 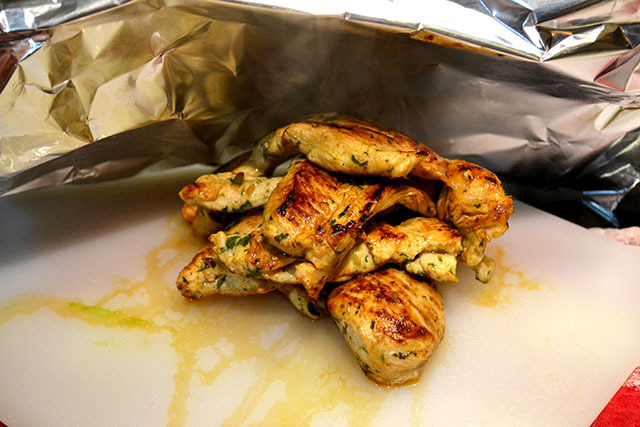 Remove giblets bag from chicken to discard and rinse entirely. Pat chicken dry completely with paper towels. 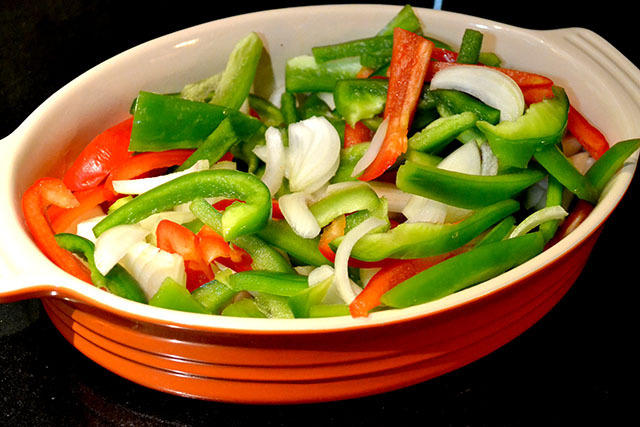 Cut all vegetables in large pieces, such as carrots in 2″ long pieces, and the onion in 8 large wedges. 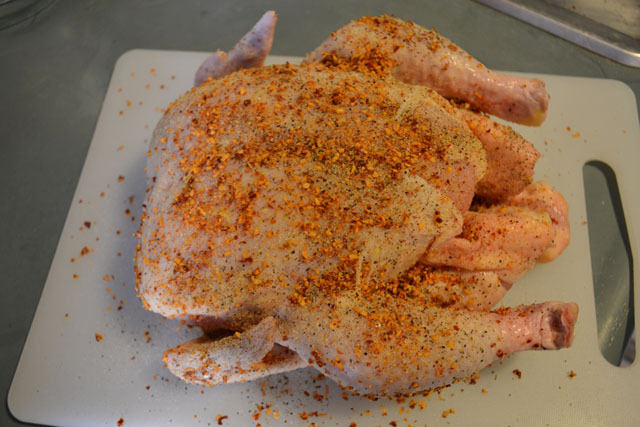 Rub the chicken with your selected rub to completely coat it. 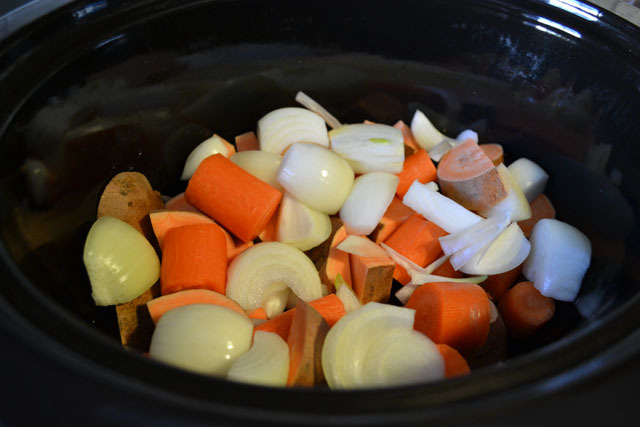 Place onions, carrots and sweet potatoes inside the slow cooker to create a layer on the bottom. Then put chicken on top of the vegetables. 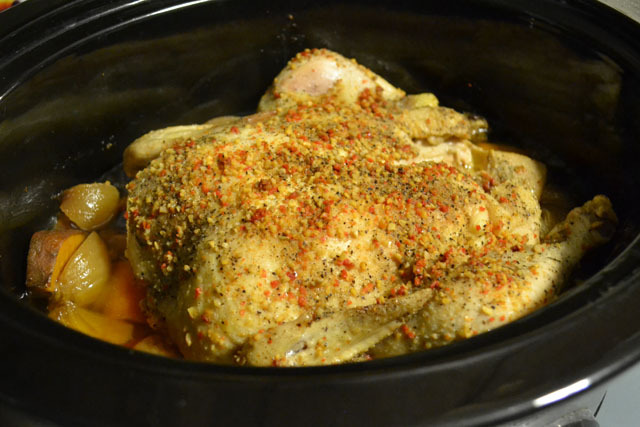 Set slow cooker for 6 hours. Check the internal temperature of the leg, if it is 160 degrees F then it is done. If you used a chicken with a pop up thermometer then remove the chicken when it has popped. 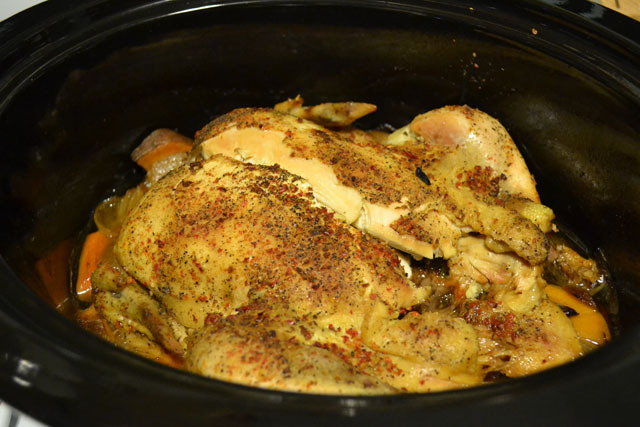 If you crock pot is broiler safe (consult your product information) then put the entire crock pot into the oven for 4-5 minutes. 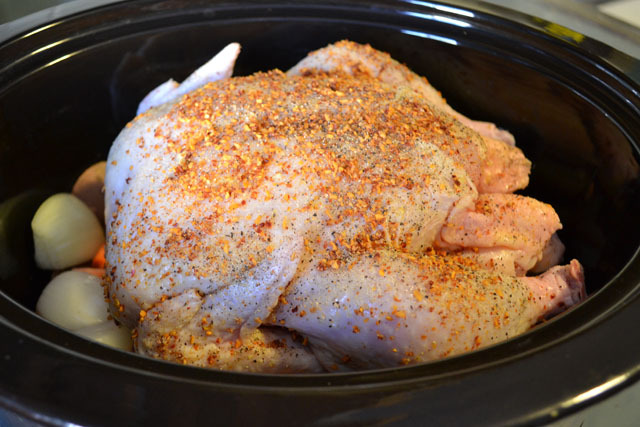 If your crock pot is not broiler safe then carefully remove the chicken and place on a glass baking dish or a large baking sheet. 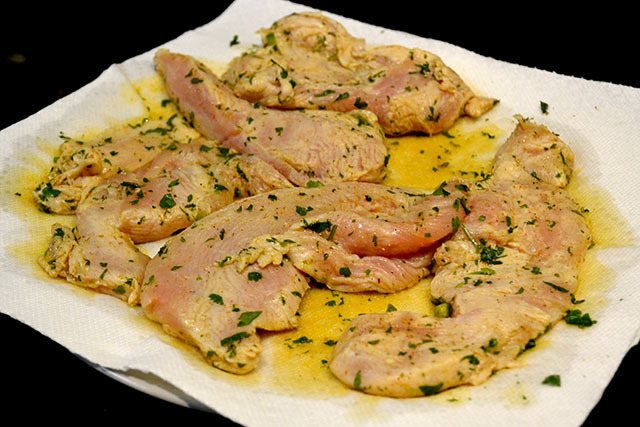 Allow the chicken to rest for 5-10 minutes prior to cutting. 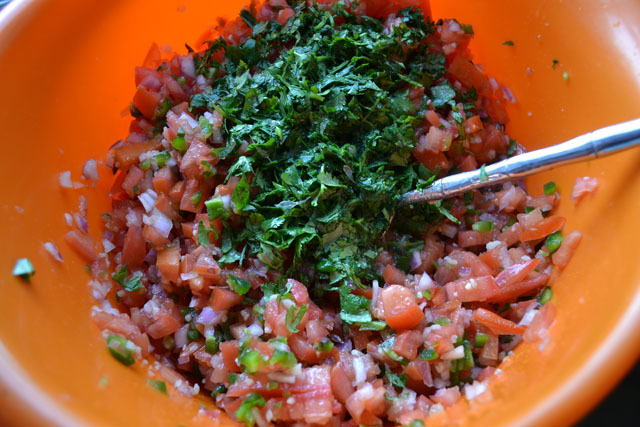 Pico de Gallo is one of my favorite things to have on hand for topping on our dinners because it’s a great addition to chicken, steak, pork, or even a salad. But I really love to share at a party. Chips and dip are classic party foods and there is a great reason for it. They are filling, great finger foods, and can be centrally located on a coffee table while people are gathered around. I much prefer poco de gallo over a jarred salsa. There is no comparison really. 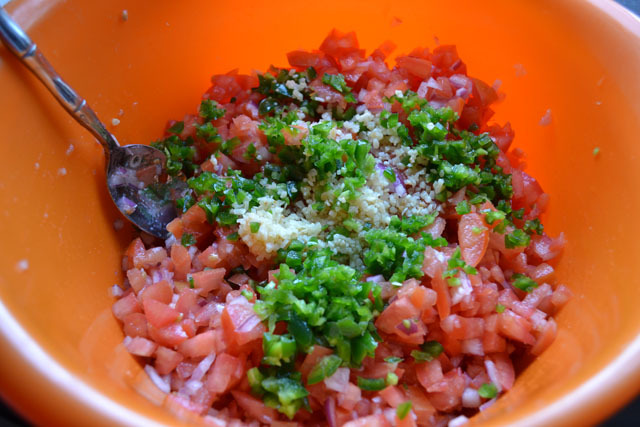 Pico de gallo has such a fresh, vibrant taste from all the fresh vegetables in the mix. The lime juice really helps all the flavors intensify as well. I feel that little home made touches like this really make a meal so much people. Also when you serve this to guests they notice the homemade touch. 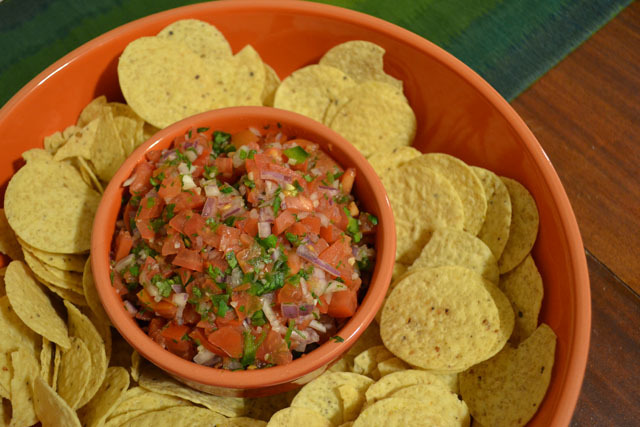 With the Super Bowl coming up this weekend this would be great to throw together for the big game, but really making a big batch works well for any sporting event or gathering, especially Cinco De Mayo. I suggest serving it with some tortilla chips, corn chips, pita chips, or celery at your next party. 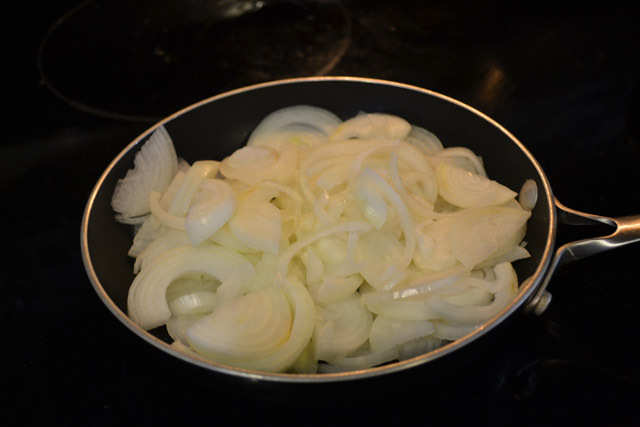 Dice both onions and put into a large bowl. 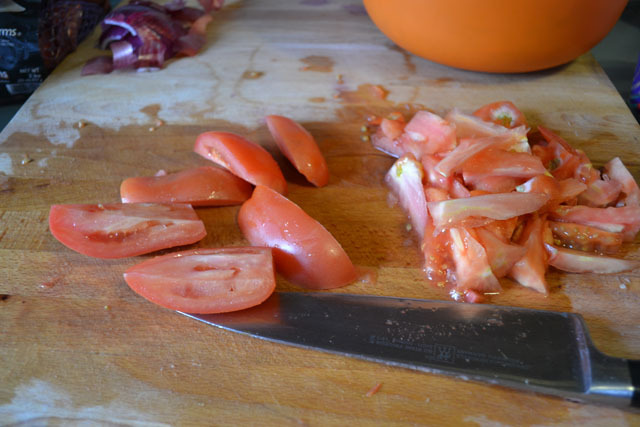 Remove the tops of the tomatoes. Halve the tomatoes length wise, halve again. Remove the seeds by sliding you knife along the inner membrane. Cut the flesh into long strips and the run your knife through the strips for a small dice. 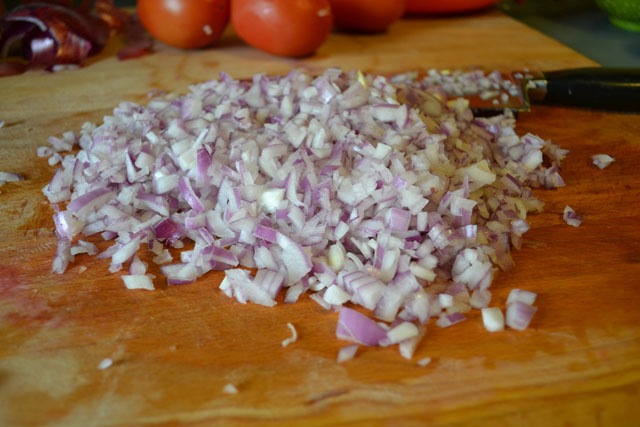 Add tomatoes to the onions. Mince the jalapeños by cutting off their tops, halving them, removing the seeds (optional), and running your knife along the pieces until they are uniformly small. Add to the mixture in the bowl. 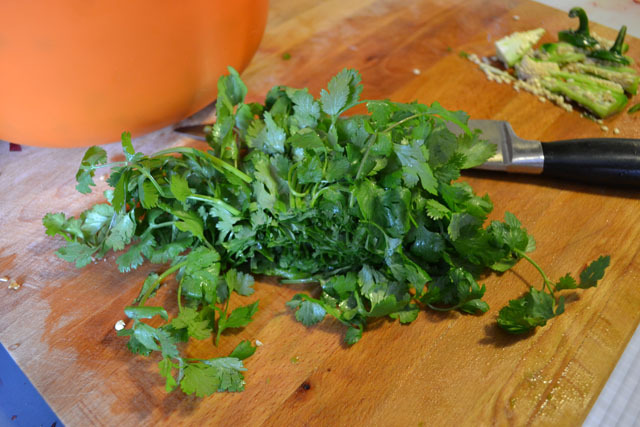 Take your fresh cilantro and evenly chop the pieces, stems included. Add to the mixture. Squeeze 2 limes over the mixture. 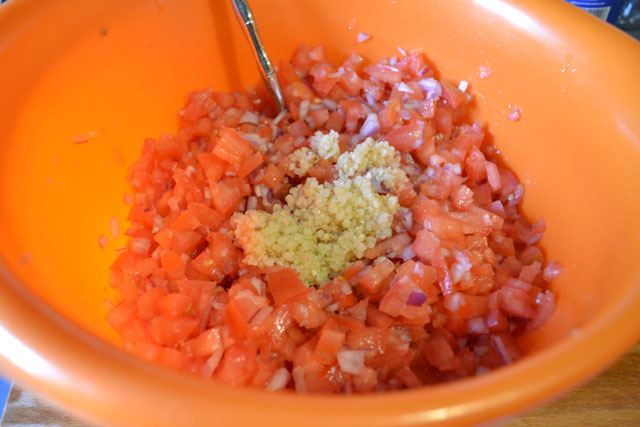 Gently mix the pico de gallo. Add salt and pepper to taste. Give another quick toss to incorporate.